Chashushuli with Summer Savory is a family meal made with pork and Summer Savory herb. Ingredients (serves 5-6 people): 600 grams of pork, 3 white onions, 1 large tomato, 3 red peppers, 1 tsp of dried coriander, 1 heaped tsp of Summer Savory, salt (dependent upon personal preference), 2 tbs of white wine vinegar, 1 tsp of vinegar (for the marinade), 250 ml of white wine (includes 50 ml of wine for the marinade), 100 ml of water and 5 tbs of oil. 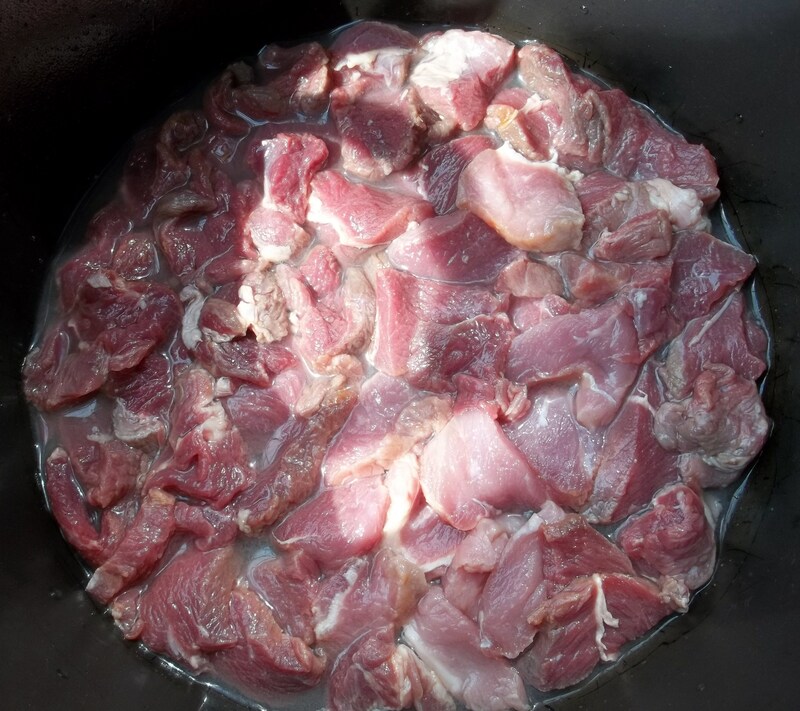 Preparation: Cut the pork into small, thin pieces. 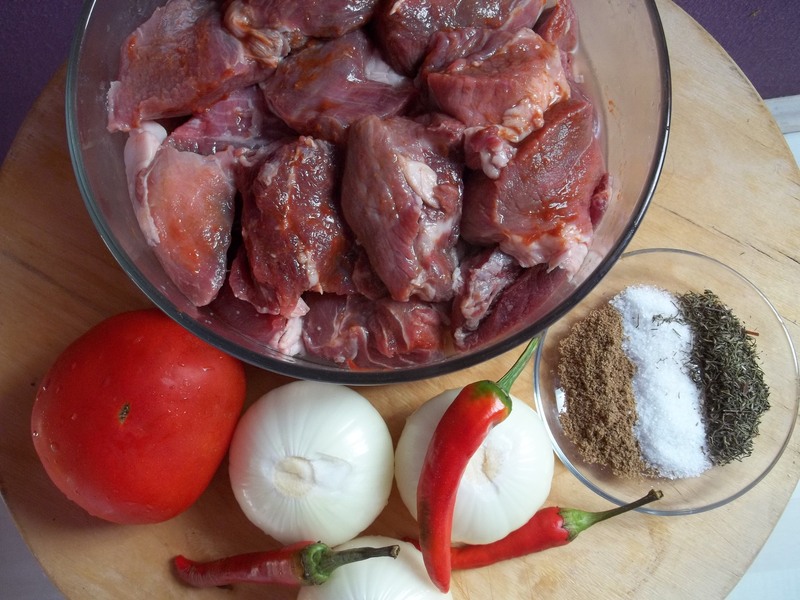 Prepare a marinade using 50 ml of white, 1 tbs of tomato puree and 1 tsp of vinegar. Marinate the pork for 1-2 hours in a refrigerator. 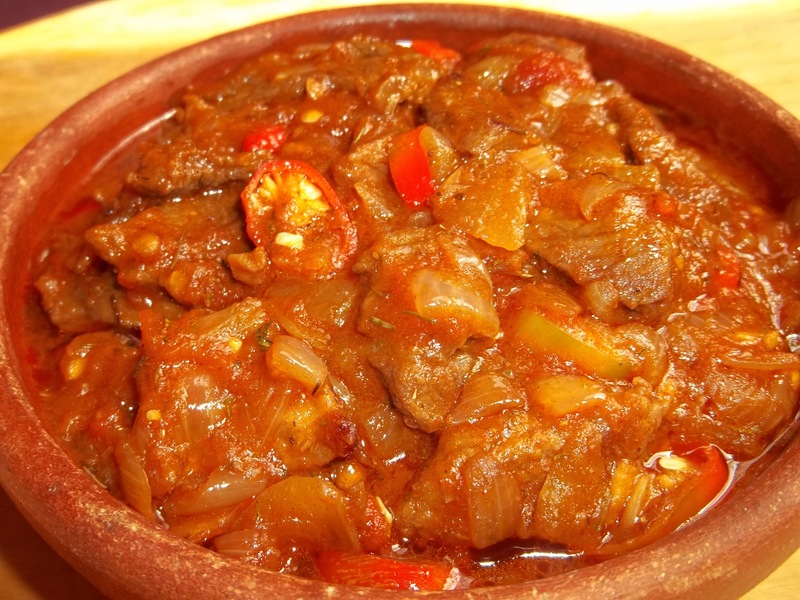 When ready to cook, add the marinated pork to a deep pot and add 200 ml wine and 2 tbs vinegar. Cover and cook for 20-25 minutes on a low heat. 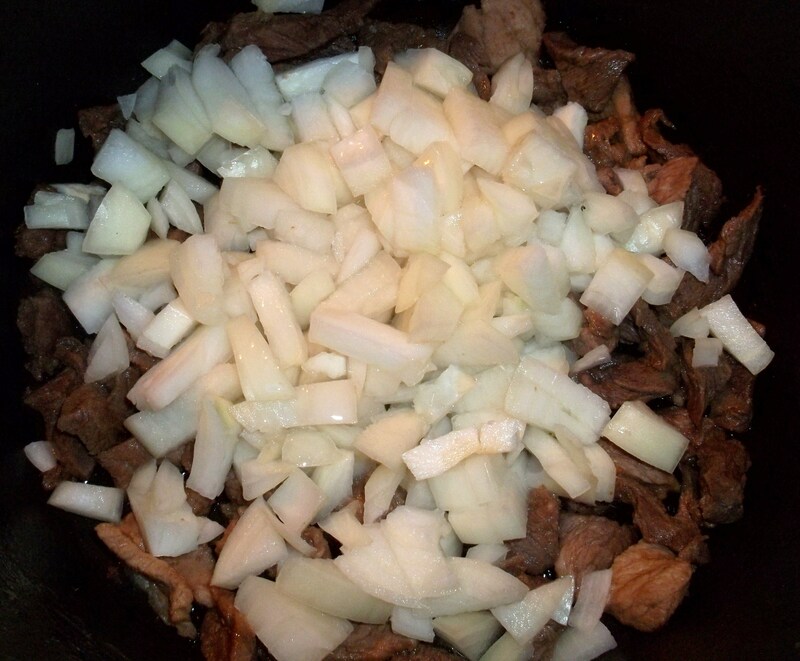 Chop and add the onions to the pot. Add the oil and stir. Cover the pot and continue to cook, stirring often. 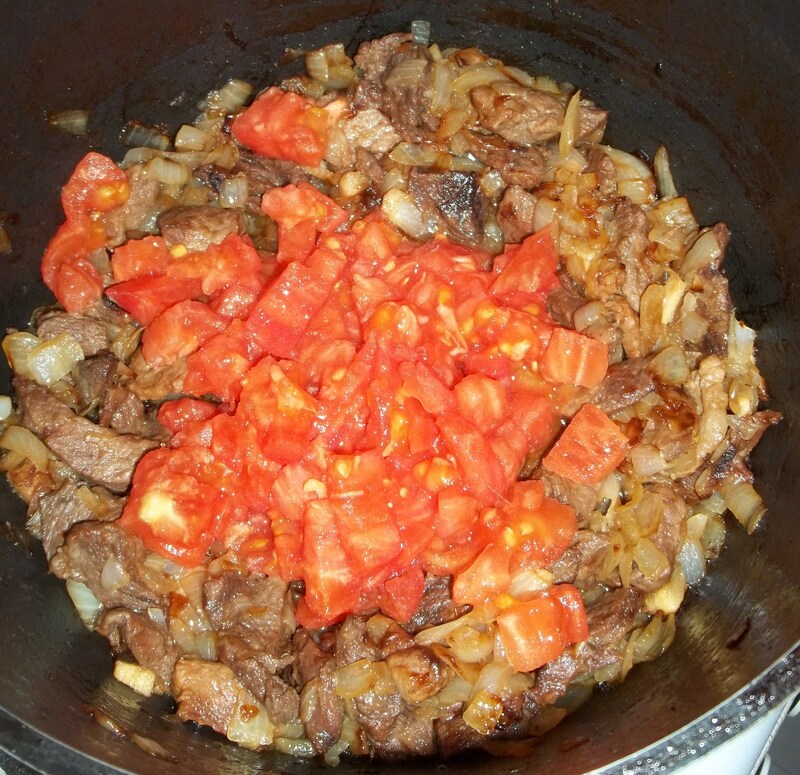 Remove skins from the tomatoes, chop and add to the pot when the onions are cooked (browned). Stir thoroughly and leave on a low heat for 10 minutes. Add 100 ml of water, stir. Cover the pot and continue to cook on a low heat for 15 minutes. 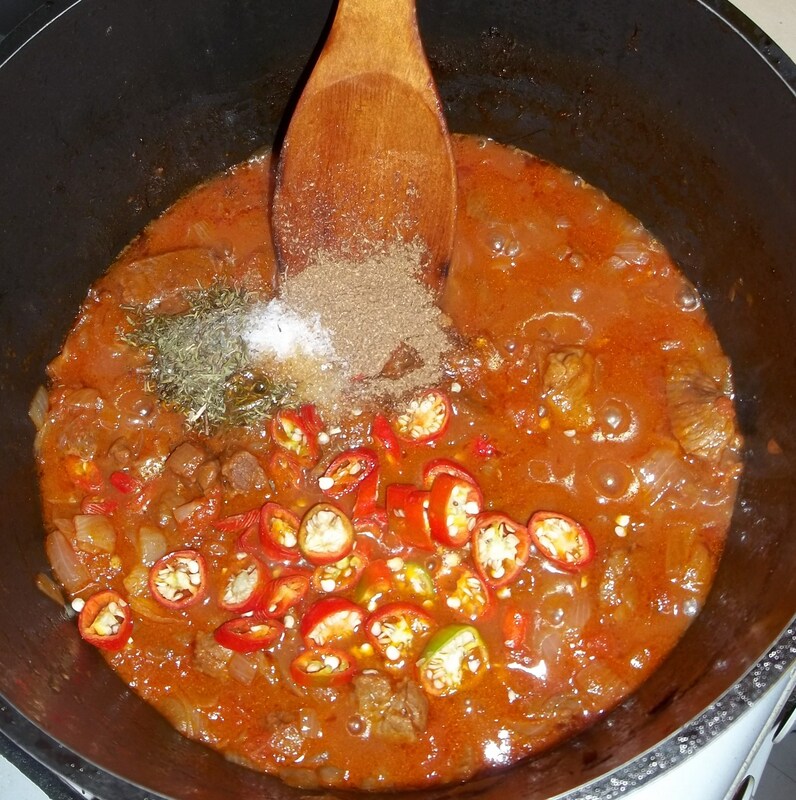 After 15 minutes, add the dried coriander, chopped red pepper, Summer Savory and salt. Stir thoroughly and leave uncovered on a low heat for 2-3 minutes. 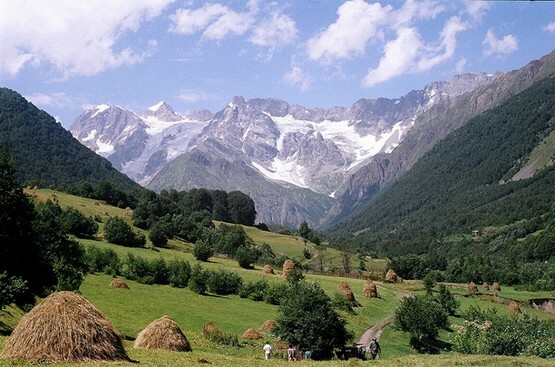 Enjoy your Chashushuli with Summer Savory!